Fumed Silica (also called colloidal silica) is a fluffy white powder with an extremely low density, marketed under trade names such as Aerosil®* and Cab-o-sil®*. With both hydrophobic and hydrophillic grades available, it is widely used as a rheology modifier, imparting highly thixotropic properties at relatively low percentages. It can also provide increased tack, better stability in suspensions and prevents “sagging” and settling of solids in a liquid system. For this reason it is particularly suitable for coatings, inks, adhesives, resins, sealants and greases. Fumed silica is also used in some pharmaceutical and cosmetic applications. 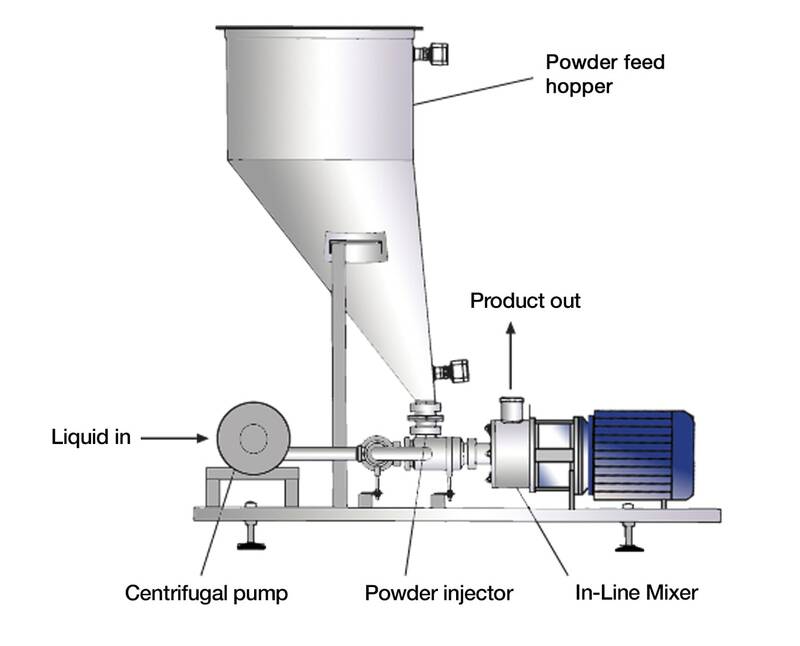 Mixing equipment must be capable of rapidly incorporating and dispersing the powder into the base liquid. Shear is required to obtain functionality. The dispersion equipment used has as much of an effect on the viscosity obtained as the concentration of fumed silica. This must be taken into account when formulating products or altering processing conditions. 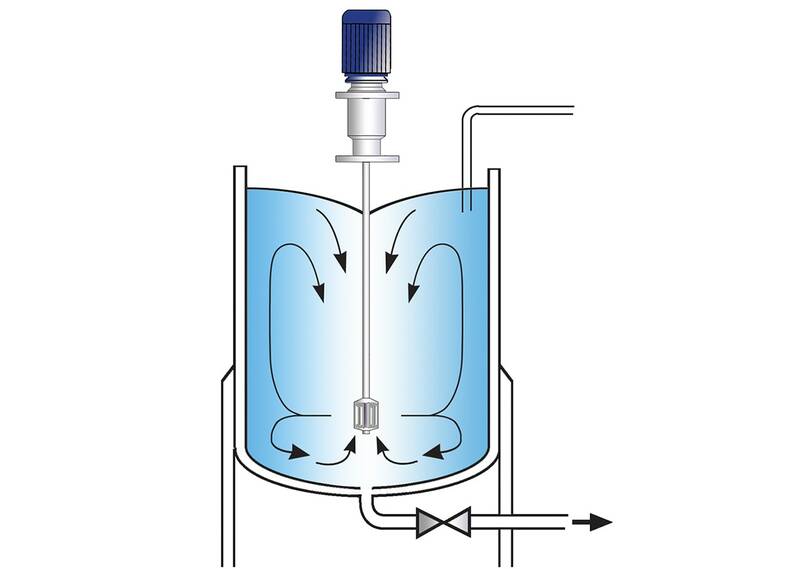 Vigorous in-tank movement must be maintained as the viscosity rises. The powder is very low density and is extremely difficult to “wet out”; it floats on the liquid surface. As the powder is extremely fine it poses real problems due to dusting. Long processing times are required to fully disperse the powder once it is wetted out. 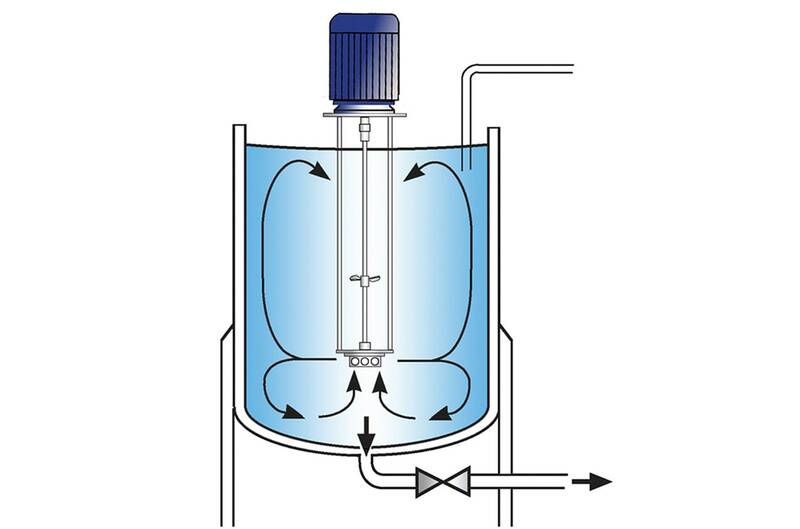 Low shear mixing devices are generally unsuitable for dispersing fumed silica. Whilst the powder may be wetted out, the lack of high shear mixing results in poor yield of thickening effect. Formulations often contain excessive percentages of fumed silica to compensate for poor yield. Incorrect dispersion can lead to great inconsistency between batches, especially when excessive loadings have been used to compensate for poor yield. 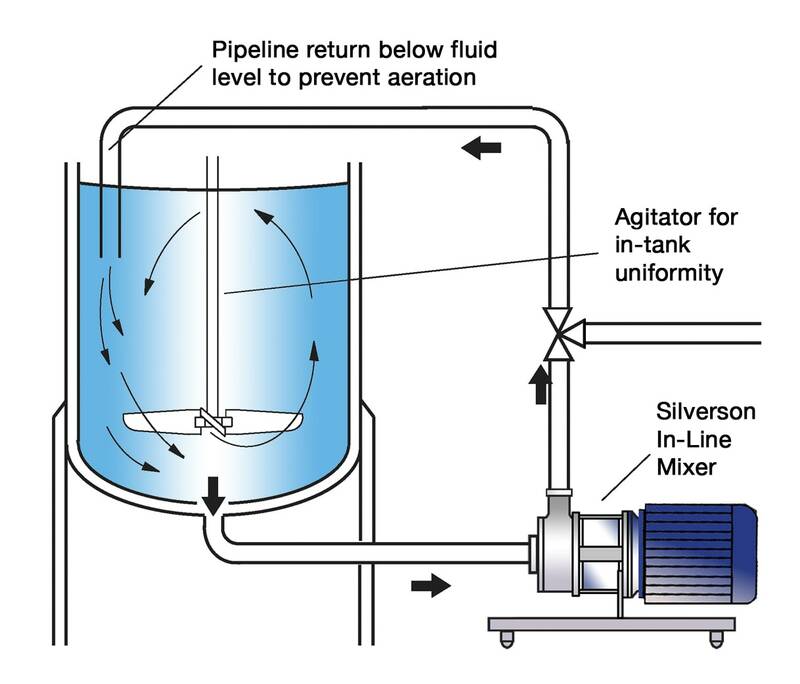 The powerful suction created by the high speed rotation of the rotor blades draws both liquid and solid ingredients into the workhead where they are rapidly dispersed. Centrifugal force drives the materials to the periphery of the workhead where they are subjected to a milling action in the precision gap between the tips of the rotor blades and the inner wall of the stator. The product is expelled from the head and projected back into the body of the mix. Fresh materials are simultaneously drawn into the head. 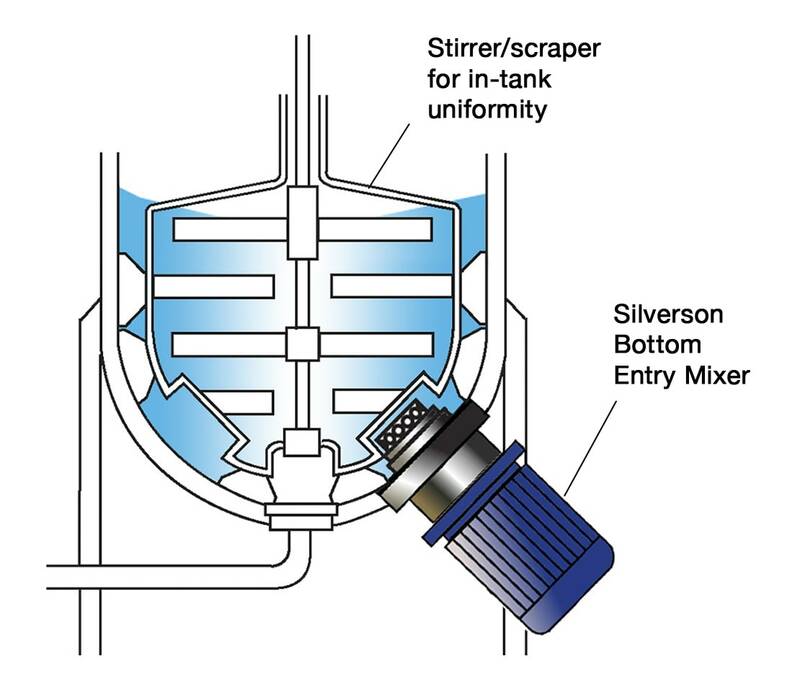 In a short mixing cycle all the material passes through the workhead many times, rapidly becoming fully dispersed. Fine dispersion results in improved product quality, stability and repeatability between batches. Some grades of fumed silica are “pumpable” and behave like fluids. The powder can then be pumped from containers directly into the rotor, eliminating dusting/handling problems.